Have you ever applied to a job on-line that you REALLY wanted and did not receive a response? If yes, did you want to call the company in hopes of getting an interview? OR do you know certain companies in your area that you would LOVE to work for but just can’t get an interview…if so, then you need an elevator speech. 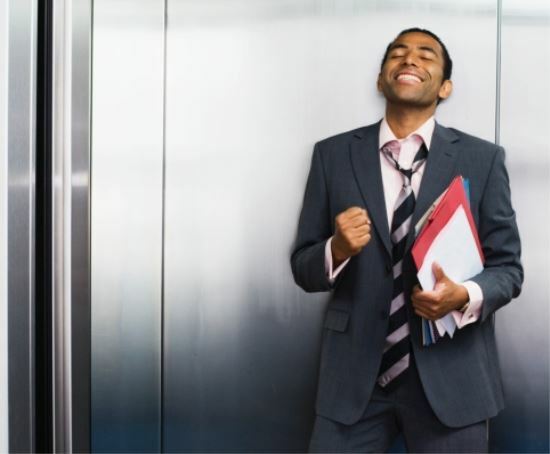 Elevator speeches are brief “speeches” used to catch someone’s attention. In the case of a job search, they are used to set up an informational interview with a company of interest to you. (An informational interview is when there is not an active job open but you just want to learn more about the company). For all my single readers, think of speed dating, where you go to a public place and they set you up on “dates” where you spend 5 minutes with someone and then move to the next “date”. At the end of the night, you pick who you want to get to know better. Your elevator speech is the same thing. You get about 5 minutes of an employer’s time to briefly tell your story and entice them into wanting to get to know you better. How do my skills apply to that job? Once you decide on these things, create a brief paragraph (known as an elevator speech) to describe yourself. This speech should be brief (less than 3 minutes talking at normal speed – You don’t want to sound like an auctioneer). To come up with some ideas, go out to the Internet and look at some “dream” job postings. Look back at your work experience and come up with a few sentences from your experience that ties to the job and sell yourself with a “catchy” phrase. Elevator speeches must be very personalized to be effective, therefore I cannot provide you with specific examples but to give you a start, below is a copy of the elevator speech that I used to get my dream job. (Feel free to email me with specific questions at info@ansacareers.com). (Please note: This led to my current job managing large HR projects for a Fortune 100 Company and when we met, they bought my lunch). R – Relevant to the job/ career of interest: Since you want to reach your dream job, think about how your skills tie to that job. Review the listed skills required for the job and then ask yourself: Do I have those skills? How are these skills shown in my career or educational experience? Write a few sentences that are RELEVANT to the job. Remember to be REALISTIC about your skills. For example: If you have been working in Finance for 10 years and decide your DREAM job is to be a Fashion Designer (and you do not have any fashion experience), these steps will not work in that particular case. You will need to go back to school for Fashion Design. A – Accurate – Remember, this is a long-term strategy so you will want to maintain an on-going relationship with all of your networking contacts. Be honest! You don’t want to create a dishonest image. M – Minutes – You will only get a few minutes of a business professional’s time so you need to be concise and get your point across quickly. It is a commercial of your experience, not a verbal resume. If you follow the DREAM job technique, you will be able to develop an effective elevator speech. Be creative and have fun with your elevator speech!! Remember, since you only have a few minutes of their time; be clever in your elevator speech. It is your personal commercial. Think DREAM job!!!! This is a guess contribution by Ginger Gibson.